They say a week is a long time in politics, but in a month it seems you can get quite a bit done. Labour leader Jeremy Corbyn was spotted on the election trail at the start of June mallet in hand laying the first bricks in what must be a side project. Now, just over a month later he is waist-high in bricks and seemingly a deft hand with the trowel. Corbyn was never going to be able to do back-breaking work in that pose. He’d soon have to change his ways. Before long he was talking about gauging trowels, line blocks and pointing trowels. He’s lost the suit jacket and rolled his sleeves up. 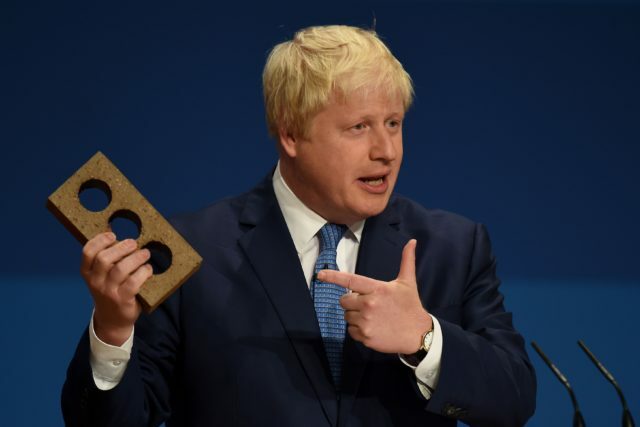 That brick is now as light as a feather to JC. Corbyn is also clearly working the hi-vis look. Boris carries that one around with him for good luck.